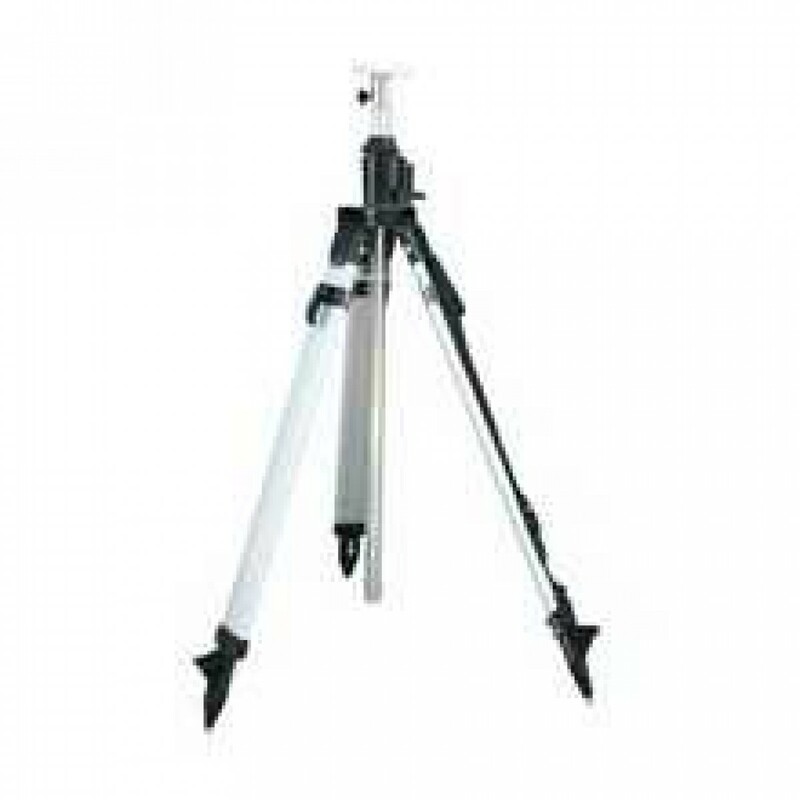 A 9 foot tripod featuring extendable legs and a 33" adjustable center column featuring incremental markings. Designed with an adjustable column to quickly set levels. The Agatec 1-16266 9" Heavy-duty Tripod with Elevating Column comes equipped with safety chains on legs to prevent slipping on hard surfaces. Designed with an adjustable column to quickly set lasers levels to the desired height. 33" adjustable center column is equipped with a rack and pinion lift. Center column also features incremental markings. Quick clamp tripod legs extend from 50" to 73". Tripod features a height of 9". Feet are reversible for dirt or concrete/hardwood floors.